The U.S. women's basketball team grabs their fifth straight gold medal. 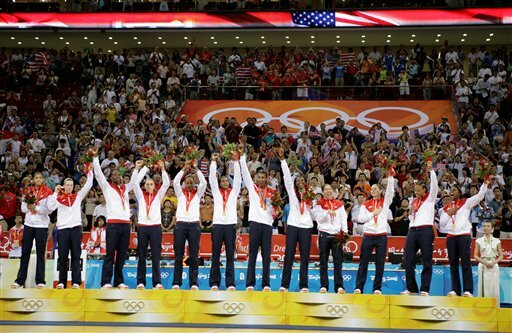 Swin Cash, center, receives her gold medal in the 2012 Olympics. 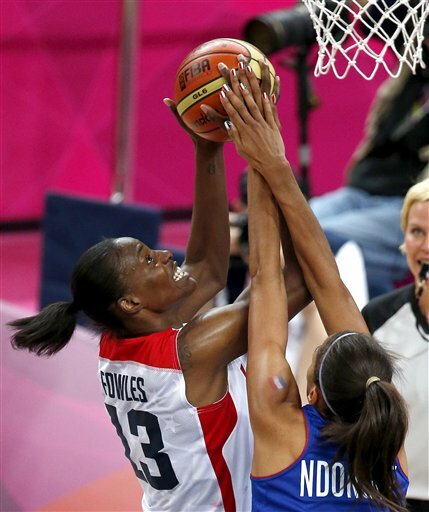 Sylvia Fowles in the gold medal game versus France. If I leave the 2012 Olympic Games moment with any one particular memory, it&apos;s of the resounding triumph of America&apos;s women. Their excellence coincided with the 40th anniversary of Title IX, which brings an old phrase comes to mind: "You’ve come a long way baby." Of course, most of the participants probably don’t remember that Virginia Slim’s tag line. But those of us from that generation recall an era where we couldn’t participate in most sports; nor did we have the opportunity to go to college on an athletic scholarship. That&apos;s one reason these games mean a lot to women like me. Title IX, which gave women equal rights to earn NCAA scholarships, was signed on June 23, 1972 — one month after I finished high school. There were no athletic scholarships for me or any of the other women in my graduating class. 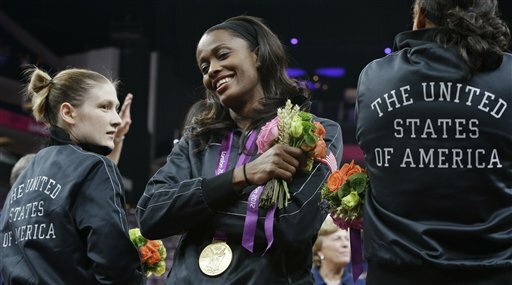 Compare that the women returning to Chicago after toppling France and earning America a fifth-straight gold medal in Olympic basketball: Chicago Sky players Swin Cash and Sylvia Fowles. Each has now won two gold medals; Cash earned her first at the 2004 games in Athens and Fowles won in Beijing in 2008. Both Cash and Fowles paid homage to the law that gave them the chance to play the sport they love. Fowles gave credit to the women that paved the way for her and hopes to become a role model for other young women in turn. Cash acknowledged that Title IX was instrumental in the success of women athletes, especially at these Olympic games. “When you invest in women, we can give you the same production as men,” she said. It showed in the viewing numbers: the women’s basketball games were almost on par with the men’s basketball games. We have come a long way, baby! Both Cash and Fowles said the Olympic experience in London was terrific. Despite tough practices Fowles took advantage of the city with visiting friends and family. “I took a tour with my mom," she said. "I liked Big Ben, Piccadilly [Circus] and the palace." The lack of a language barrier was a comfort for her too. Cash also saw the sights, shopped and went to watch the beach volleyball games, which she said was “amazing.” She compared being in the Olympic venue to being on the “White House lawn or Rose Garden." Even though they had limited time together, the 12 women on the U.S. team developed a close bond. “We all had a selfless mindset. We understood what our goal was; we were not just representing ourselves but for our country,” said Cash. The experience was humbling for the 32-year-old player since she missed the Beijing Olympics due to an injury. It was also the last time she will ever stand on the podium as an Olympic medalist since this was her final Summer Games. Cash, however, hopes to be a broadcaster for the 2016 games in Brazil; she believes she&apos;s made enough sacrifices – personally and professionally – for her career in the WNBA. Her long term goal, she said, is to be married and have children. “As women those are things we have to think about,” Cash said. “Our male counterparts don’t have to think about that.” Her teammate Sylvia Fowles, however, would love another opportunity to play in the Olympics. “If my body stays the same, hopefully, I will be in Rio,” she said. Now that both ladies are home and the WNBA is returning to business, both would love to do something for the Sky and their fans: get into the playoffs. With a month off, injured players were able to get healthy, or at least get rested. Fowles, Cash and Epiphanny Prince will be key to helping their team make their first post-season appearance. Cash did not play as much in the Olympics and said it will take a couple of games to get into shape.